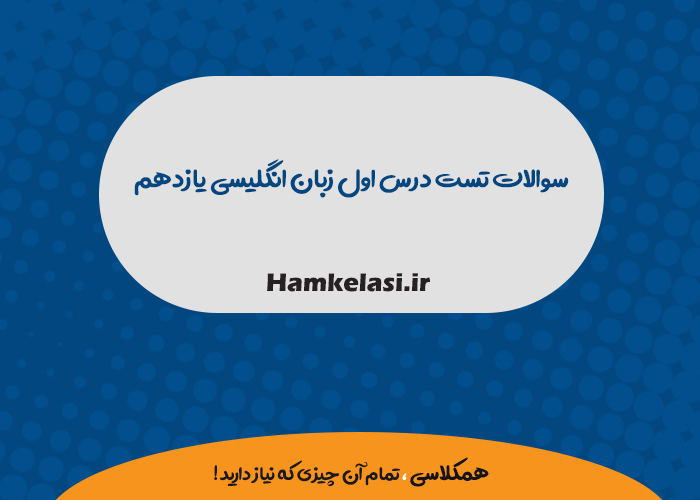 تست هایی که در ادامه این مطلب مشاهده میکنید ، تست های درس اول زبان انگلیسی یازدهم میباشد که میتوانید به صورت رایگان نسبت به دانلود آن اقدام کنید . If human children were keps at birth away from humans they would not learn the words of the language and would not be able to commicate in the same way as other species of their kind. The underlined these in the first paragraph refers to …………………..